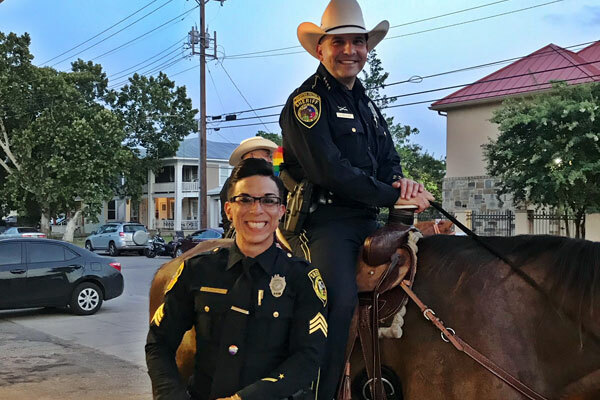 Last month, Bexar County Sheriff Javier Salazar unveiled his Community and Internal Liaison Program in which he appointed liaisons to several specific communities within the county. Among the deputies assigned to the program is Sgt. Stephanie Flores who will serve as the sheriff’s liaison to the LGBTQ community. Sgt. Flores is a native of Corpus Christi who attended Angelo State University on a soccer scholarship. 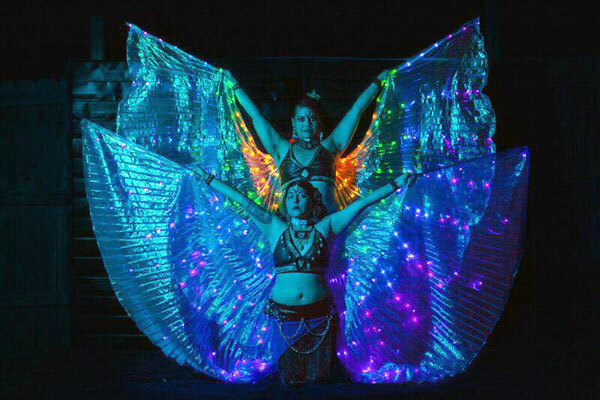 In 2004, she moved to San Antonio where she started a successful business as an LGBTQ event promoter. However, by 2010 she had entered the Sheriff’s Academy and was on her way to a career in law enforcement. Flores is married to Leiana Flores who works as the assistant facilities director for Bexar County. The couple was married in 2014 in Santa Fe, New Mexico and currently live in a downtown condo. Sgt. Stephanie Flores with her wife, Leiana Flores. Not long after that chance meeting, Flores enrolled in the Sheriff’s Academy. Currently, Flores is Sheriff Salazar’s administrative sergeant for special projects charged with helping him design and implement programs which help promote his goals within the community and with the department’s employees. Recent programs include one for local youth called “A Day In the Life of an Inmate” that shows the stark reality of what it’s like to be incarcerated; a therapeutic dog program for inmates; and a medals award program for deputies who have gone above and beyond. 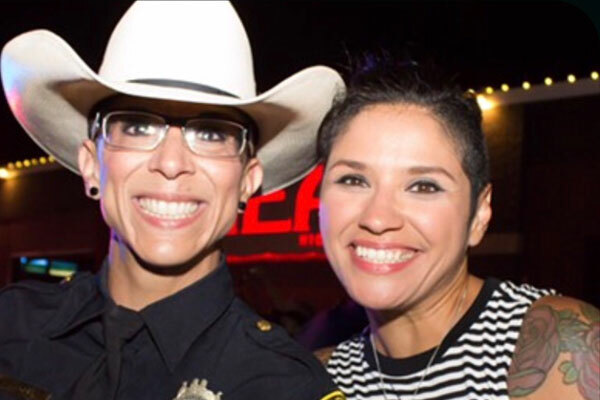 The liaison program, which Flores had a hand in creating, is manned by deputies who volunteer to interface with various communities throughout Bexar County. Those communities include: the Hispanic community; the African-American community; the Asian/Pacific Islander community; the Native American community; the LGBTQ community; the faith-based community; the Jewish community; the Muslim community; the senior citizens community; the special needs community; the military community; and the deaf community. As the LGBTQ liaison, Flores is starting to make the rounds of local organizations, introducing herself to the community. 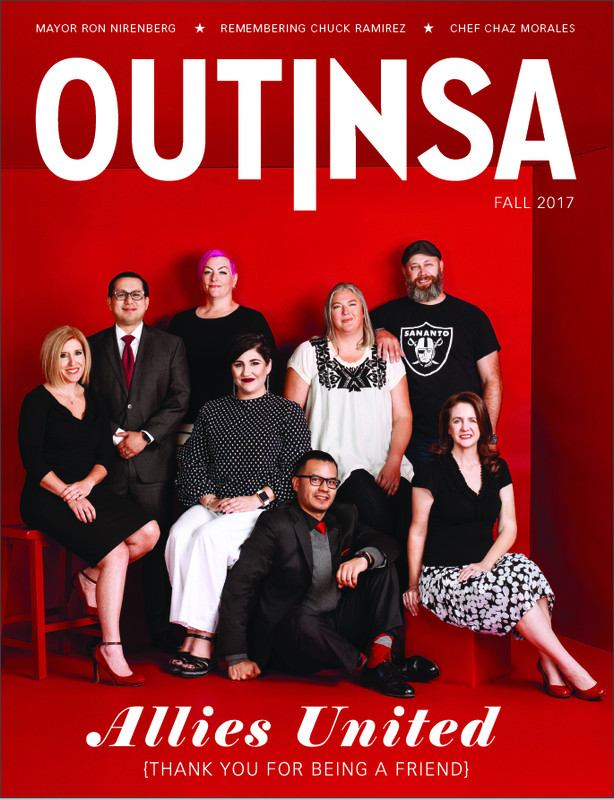 She will be attending the National Coming Out Day celebration on October 13 at the Mission Marquee Plaza and the Pride Families Trunk or Treat event at the Pride Center on October 28. Flores says she’s available to speak to members of the community who may have questions or concerns relating to the Sheriff’s Office or who would like her to attend a local event. She can be reached by telephone at (210) 335-5117. For Flores, her career with the Sheriff’s Office has become a source pride for herself and for her family. It’s a job she pursues with continued fervor. “I plan to stay here until I retire and am testing for lieutenant in November,” she confidently told Out In SA.